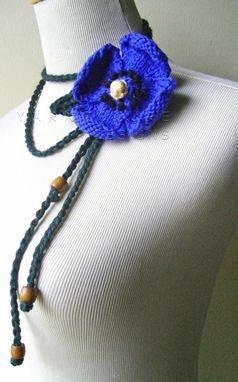 It's cool...refreshing...easy to wear and just plain cute! 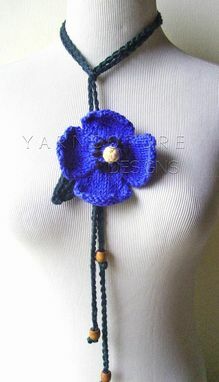 My spring pansy lariat is a combination of a hand knit flower, crochet greenery and ties. 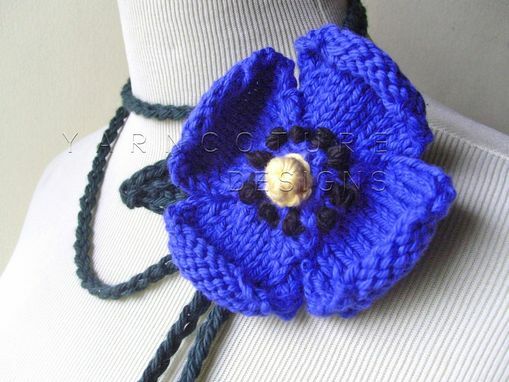 It was so exciting to fashion this out of cool and absorbent cotton yarn.as I wanted to create a special piece that would give the wearer a boost of confidence and style. The knit petals have a natural 'curl' and can be bent either way to suit your mood. 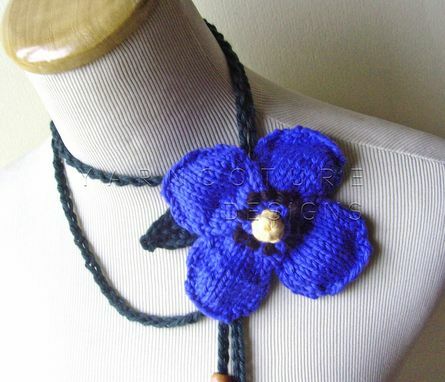 There is also a hidden button underneath the flower that makes the vine portion completely adjustable....just fasten the button to the desired length in the chain and voila! 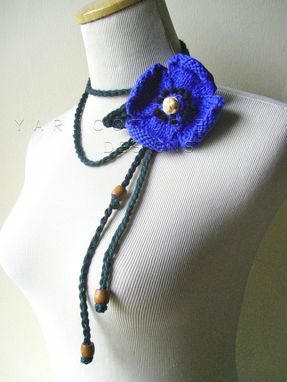 A crochet leaf along with genuine oak beads makes this lariat very unique and just perfect with that summer dress! It's really a fresh and pretty pick-me-up anytime you want a hint of spring! Care: Hand wash in cool water, squeeze out excess water in a dry towel and lay flat to dry.